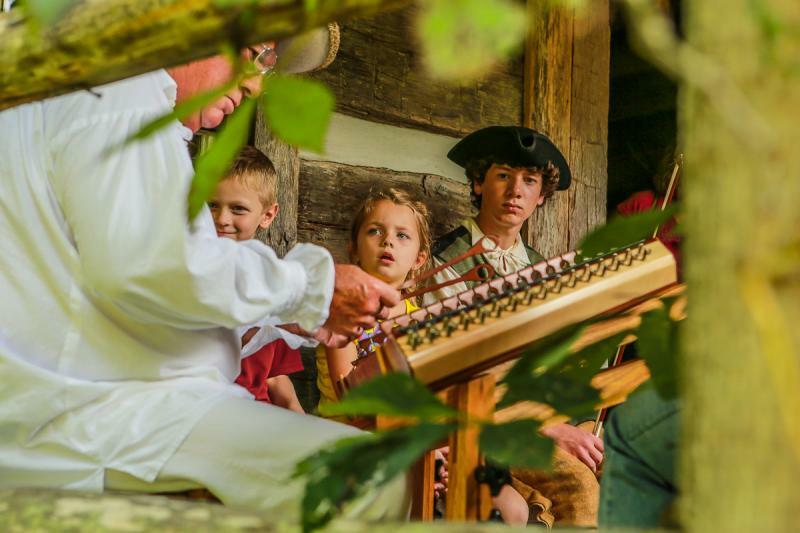 Notice: The 2018 Indian Summer 18th Century Living History Event has been CANCELLED due to unforeseen circumstances. Thank you for your past support and patronage. Click here to see a short video of 2016 event filmed by The Daily Independent. 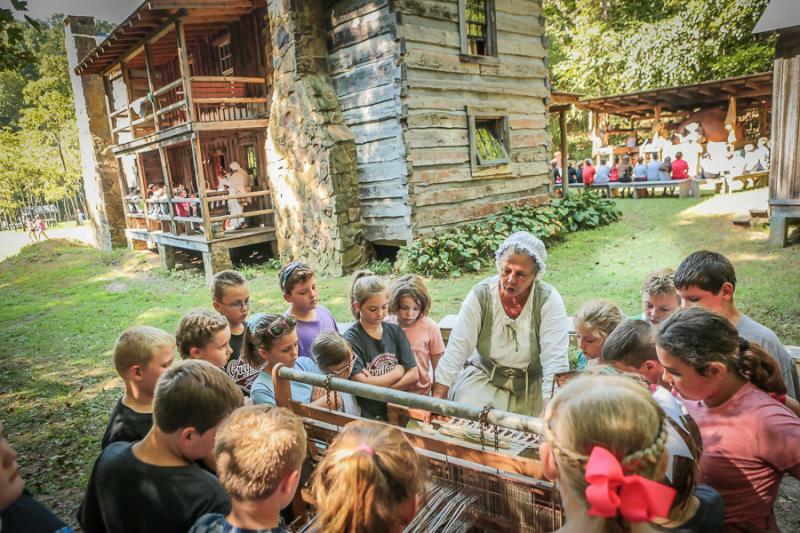 Tour a Kentucky pioneer hand hewn log village as it might have appeared in our area during the 1790's through 1820. 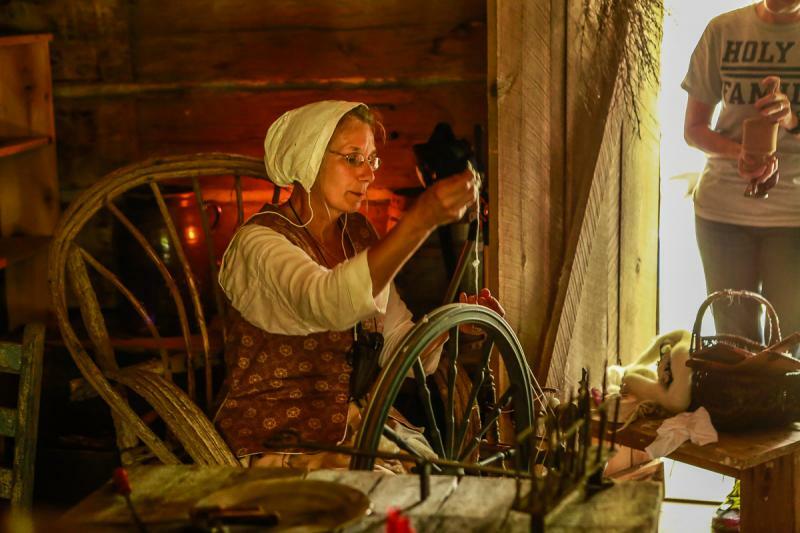 Watch and visit with re-enactors demonstrating daily life during the era. 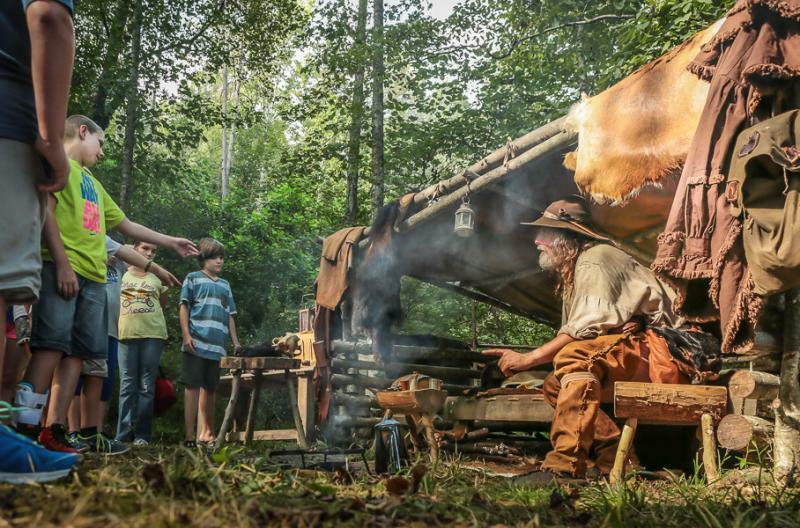 Cabins will be open for touring and the Wolfpen Store will be open with a variety of goods available including vintage stoneware, period toys, Wolfpen t-shirts and many items hand crafted by the local re-enactors. Admission is $5.00 with children under 5 years old FREE. 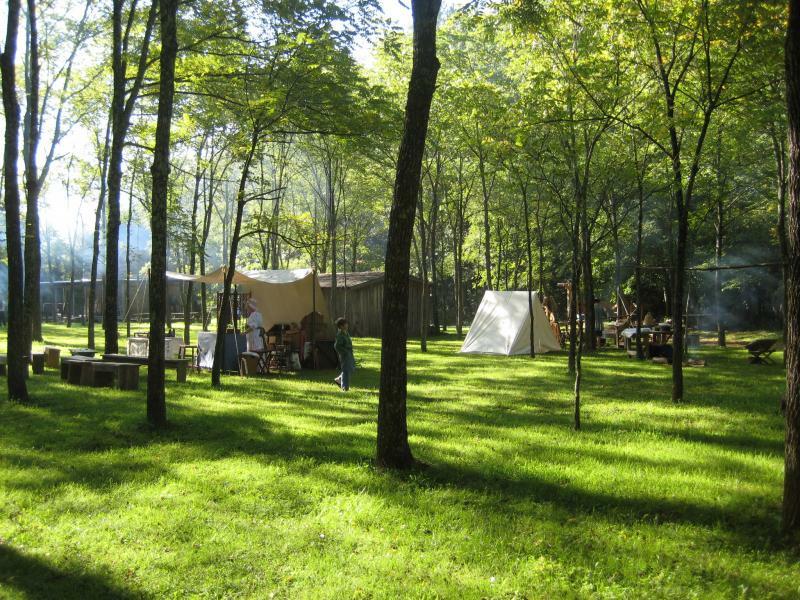 Wolfpen Woods Pioneer Village is only open to the public a few days per year so make plans to attend this year's event. The Village was established in the year 2000 with the primary purpose of educating school children as well as adults about the collective cultural history of the pioneer period (1750-1820) in our region. Four period hewn log houses, a log blacksmith shop, chicken house, and smokehouse along with other structures such as a loom house, woodsheds, necessaries, samp mortars and outdoor bake oven combine to create the ambiance of a small pioneer community. 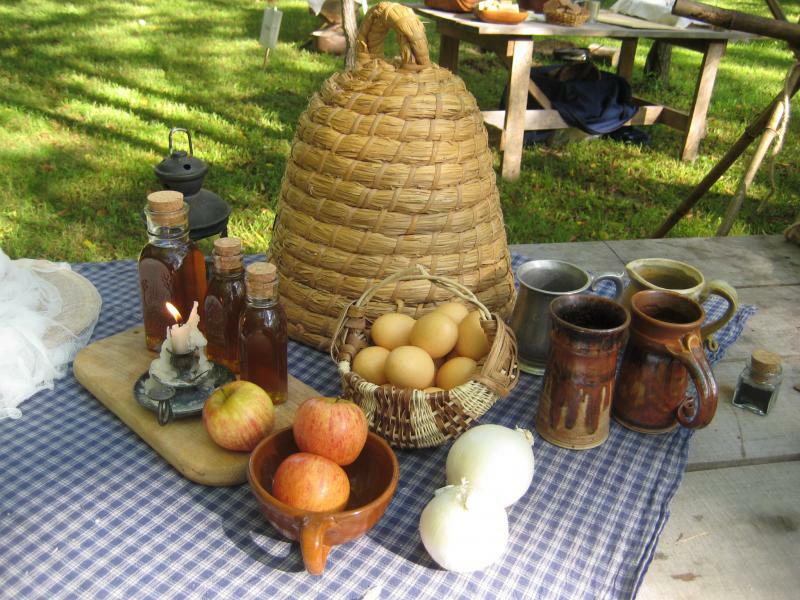 Skilled historical reenactors in period dress demonstrate pioneer skills that were necessary, while on the weekend it is self guided and includes a historical trail drama on the hour as well as various pioneer and native demonstrations throughout the day. Items are for sale in the Village Store (e.g. vintage stoneware, powder horns, period toys, bottled water, etc.) as well as from numerous vendors. The store also has available Wolfpen Woods caps. 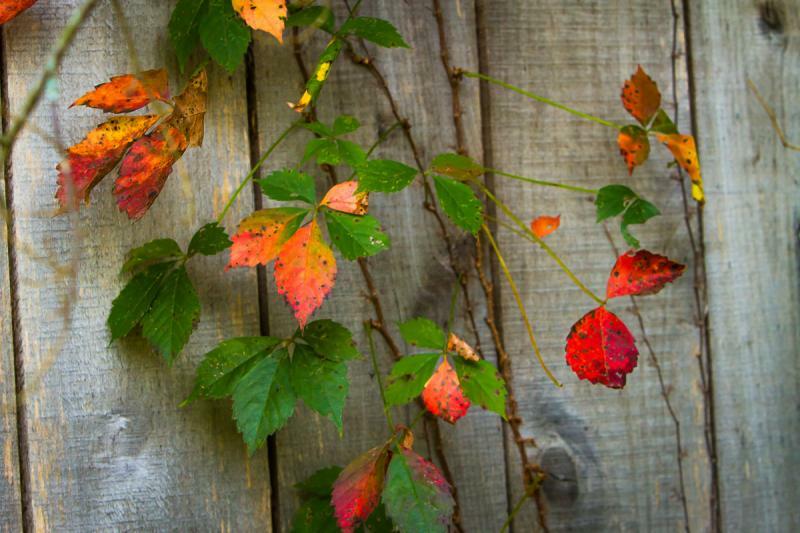 Admission is $5.00 per person, children under 5 are admitted free. Parking is free.